Frankfurt stock exchange operator Deutsche Boerse has said it is withdrawing plans for a £1.3bn ($2.5bn) takeover of the London Stock Exchange. The company said in a statement it had failed to convince the London Stock Exchange to recommend the offer. It also acknowledged widespread opposition among its own shareholders. On Monday shares in the LSE lost 7.8%, those in Deutsche Boerse fell 2.6%, while shares in another potential LSE suitor, Euronext, rose by 4.2%. The LSE said it was still prepared to talk to Euronext about a possible offer. It said Deutsche Boerse's 530 pence per share offer undervalued the company and its growth prospects. Deutsche Boerse said it reserved the right to come back with another bid for the London exchange if a rival buyer appeared. The German pull-out does not guarantee the LSE's continued independence - rather, it clears the way for a possible bid from rival exchange Euronext. Euronext combines the stock exchanges of Paris, Brussels, Amsterdam, Lisbon and also runs the London-based international derivatives market Liffe. The withdrawal is a considerable setback for Deutsche Boerse chief executive Werner Seifert. He has borne the brunt of shareholder criticism and may now face questions about his future. His critics said trading in Frankfurt would suffer. "The noise has been increasing from both Deutsche Boerse shareholders and the Frankfurt community that if Deutsche Boerse bought the London Stock Exchange then business would gravitate to London," said Angela Knight, chief executive of the London-based Association of Private Client Investment Managers and Stockbrokers. There had also been misgivings about the proposed takeover in the UK. "We said there were a number of user issues we wanted any proposed bidder to take into account," she said. She said it was important for LSE users' views to be taken into account over things like costs, UK registration of the market, and open share registers. "It doesn't necessarily follow that Euronext will not take over, " she added. "But they are clever people at Euronext and I would expect to see some sort of move." Independent shares trader Alpesh Patel said the arguments surrounding the Deutsche Boerse approach had a lot to do with trading costs. "Those in favour of the merger said it could have led to reduced trading costs," he said. "Those who weren't in favour said costs might have been initially reduced, which would then have driven away the competition, only for prices later to be raised due to the virtual monopoly position." It is the second time Deutsche Boerse has failed to buy the LSE. 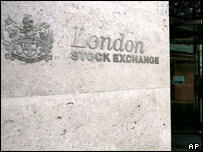 In 2000, the two exchanges agreed a merger plan which fell apart when the LSE received a rival, hostile bid from the Swedish OM exchange. Deutsche Boerse shareholders have questioned the wisdom of the proposed takeover, seeing it as costly and unlikely to bring significant benefits. Opponents of the plan to buy LSE are thought to own at least half of Deutsche Boerse's shares. In recent weeks, any setback for the bid has given a fillip to the German firm's share-price, mostly recently when the finance minister of the exchange's home state of Hesse condemned it. Deutsche Boerse has now embarked on damage limitation with its own shareholders. It said it would work with investors on a plan to make "a significant distribution of funds" available to shareholders on top of the share dividend payout for 2004. And on Monday a spokesman said chief executive Werner Seifert's post was safe, despite giving way to shareholder pressure over the LSE issue. "The question of a resignation is not being posed," the spokesman said, when asked about Mr Seifert's future. Q&A: What's next for the LSE?